First Laurel Ridge Trail Clear a Success! Last Saturday was a bit of a dreary day at the Laurel Ridge XC Skiing Center, but the heavy rains stopped just before the trail clear got underway. 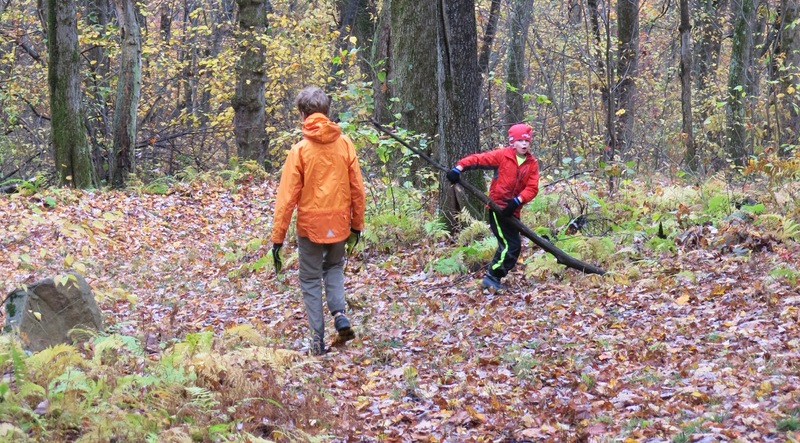 Eleven hearty PACCSA volunteers braved the wet and chilly conditions to remove fallen trees, large limbs and other debris from the trail system. In the end, virtually every trail was cleaned up and readied for the 2014/2015 ski season. Kevin Craig, Norb Duritsa, James Fenn, Kate Fissel, Naomi Jarvis, Brian Joly, Gene Parsons, Jim South, Matthew South, Traci Torrence and George Wolf. For those who couldn't make it, there will be another trail clear at the Laurel Ridge XC Skiing Center on November 16th from 10 AM until 3 PM. We'll provide more information on this event in the coming weeks.